Pudding - The perfect way to finish a meal. 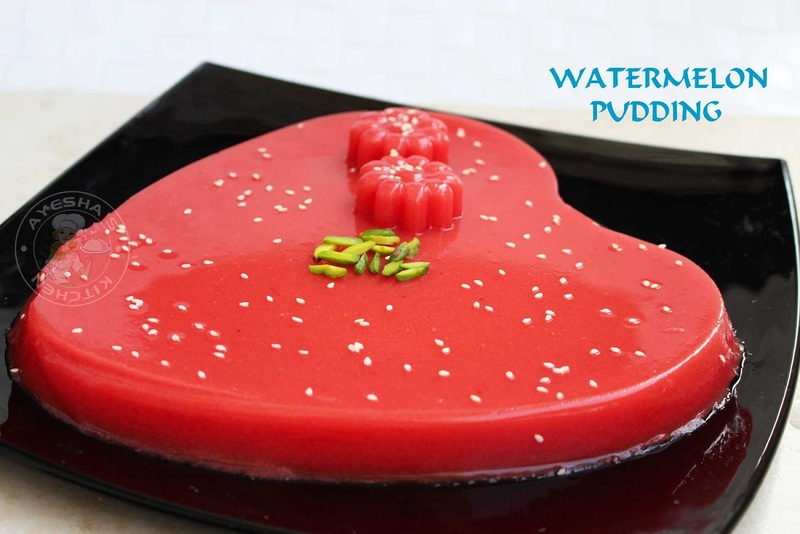 Treating your family and guests with some eye-catching and mind-blowing pudding recipes are really great for each one of us. 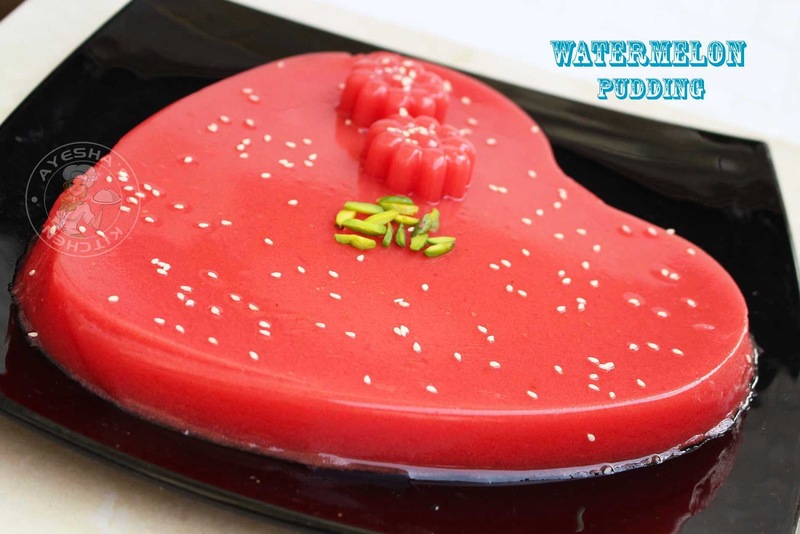 This smooth dessert is bursting with luscious watermelon flavor. Moreover, this is a no -milk pudding recipe and so simple to make pudding recipe. The texture of this pudding is so soft and silky that one would really ask for a scoop of this dessert for sure. 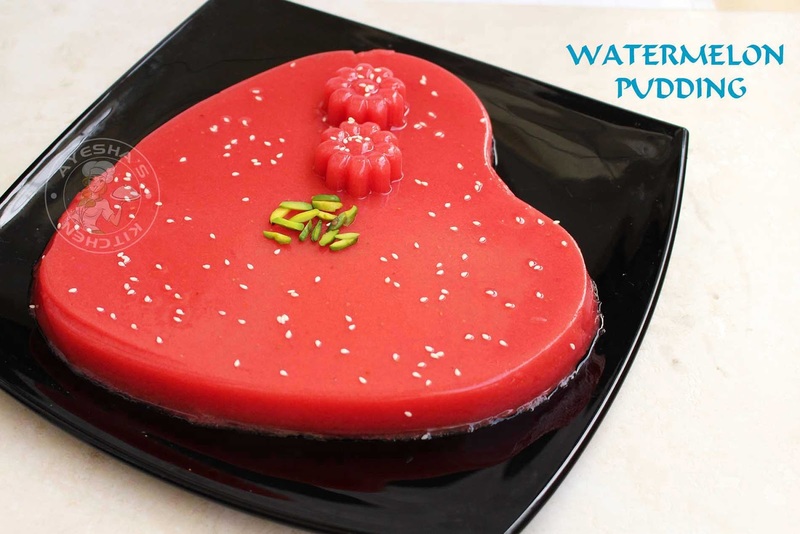 Blend together watermelon pieces (deseeded) along with sugar and beetroot pieces. Do not add water while blending. Transfer the prepared juice to a saucepan after passing this juice through a strainer. Meanwhile, we can melt the china grass to a clear liquid along with half a cup of water in another pan. Once the watermelon-beetroot mixture starts boiling, add the sweetened condensed milk and mix well to combine. When done, add the china grass mixture (once it is melted to a clear liquid) to this pudding mixture using a strainer and mix well immediately. Let it cook for another 2 minutes over a medium-low flame. When done, remove from flame and pour it into prepared pudding tray or molds. Allow it to set. For that, keep the pudding refrigerated (not in the freezer) for 4 to 6 hours or overnight. When done, flip it to a plate (optional). Garnish with sesame seeds or nuts. Slice and serve. This pudding tastes best when served along with a scoop of ice cream. Here is the video - Watermelon Pudding.